Aquiziam.com may ask for personal data such as your name or address when you use our site. For credit card transactions, Aquiziam.com will send the payment information to our authorized payment gateway/s only. Should a credit card chargeback be enacted, Aquiziam.com may release details relating to the chargeback to other parties and/or publish details of the transaction on our relevant web page/s. Any other information collected via this web site will be kept strictly confidential and we will not release such information to anyone, unless required to do so by law. The enabling and use of “cookies” by the Aquiziam.com site is, or may be, undertaken in order to identify players and registered users as well as for monitoring time and frequency of play or use. Aquiziam.com utilizes one or more e-mail lists to permit the company to communicate with specific individuals. People who use the Aquiziam.com website may be added to various e-mail lists and accept that they are prepared to receive e-mail from Aquiziam.com. Aquiziam.com will not provide the addresses or contact details on our list/s to any third party, unless required to do so by law. Through your visit to Aquiziam.com we may assemble a range of information that relates to you the user. This can include; the referring website, your IP addresses, computer MAC identity number, browser type and language. We may also assemble navigational information that relates directly to the pages that you view and your access of various areas of the website. Aquiziam.com and Aquiziam LLC reserve the right to send to you, from time-to-time and via any method, communications regarding the Aquiziam website and the activities of Aquiziam .com. 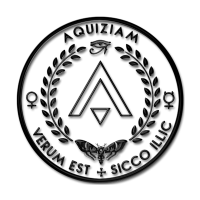 Users of Aquiziam.com are bound by any changes to the policy when using the site after those changes have been published. It is our policy to alert users of the site if we are going to use the data and information collected in a way significantly different to methods set out in previous privacy policies.